Metered parking available and Valet available a few doors down on Larimer at the Capital Grille & Writer's. Savor Chef Richard Sandoval’s acclaimed modern Mexican cuisine at Tamayo. Handcrafted margaritas and a selection of over 100 tequilas pair beautifully with the flavorful dishes. From the outdoor terrace with sweeping views of the Rocky Mountains, to the main and private dining rooms, handmade Mexican artwork and authentic furnishings complete Tamayo’s dining experience. For your next party, business meeting or special event, choose from one of our signature dining experiences or let us help you customize your own! Visit our website to view our event packages. 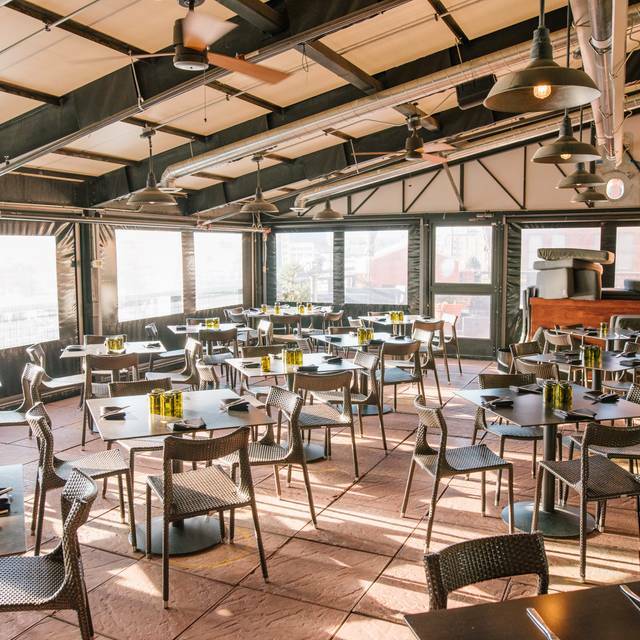 Located in Historic Larimer Square, Tamayo is a chic spot with a vast rooftop deck with sweeping views of the mountains. 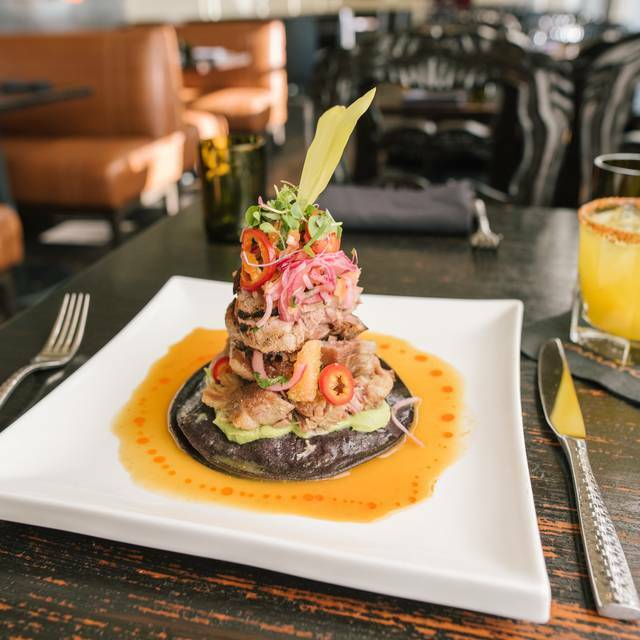 The innovative Latin menu is carefully crafted by world-renowned Chef Richard Sandoval who is often hailed as the “Father of Modern Mexican Cuisine.” Savory & authentic, the upscale Mexican cuisine at Tamayo will make any meal an unforgettable experience. 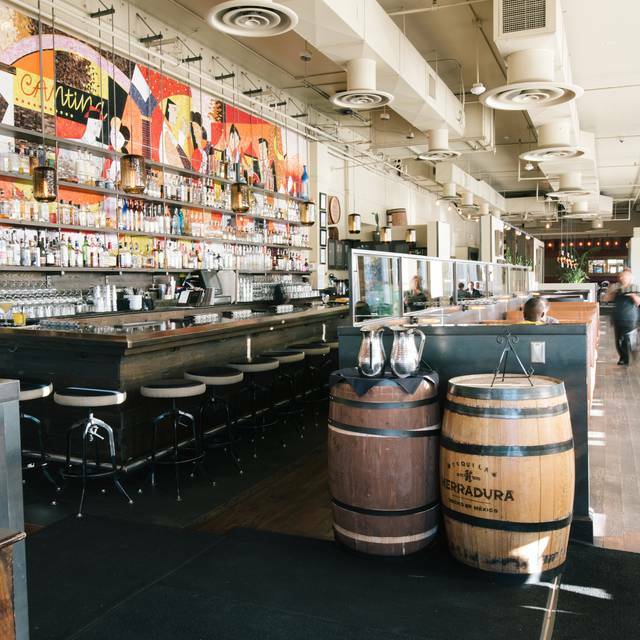 With a collection of over 100 tequilas and agave-based spirits, Tamayo is also a hotspot for margaritas & hand-crafted cocktails. Was very loud. Service was good and the food was amazing. Wouldn’t seat us Sunday for dinner until 5:00 so we sat in the bar and had a drink and appetizers. Even though we had reservations we waited 30 minutes for a table. Tacos were amazing! Was an amazing experience. Celebrated my birthday with amazing service, food, and drinks! The food was very good, unique and tasty. The margaritas were awful for a mexican restaurant. As always, the food and margs were fabulous. They were featuring mole this month and my dish was unique and flavorful. Our server was crazy busy but he was on top of things and got everything to us promptly as we were heading to see a show. The only complaint is the noise level. They seated us upstairs in the enclosed patio and during the Saturday night rush, you can’t even have a conversation at your table without yelling. 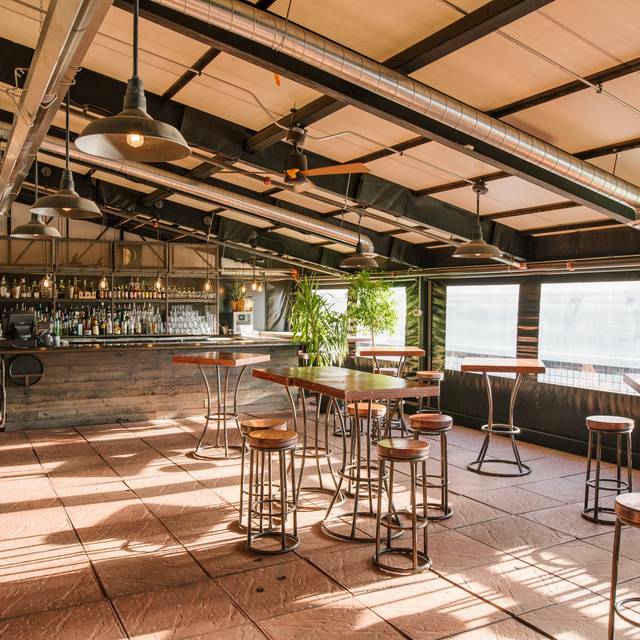 Next time I will be sure to ask for a table downstairs where there is some soundproofing. We had the mushroom enchiladas, veggie plate, and guac. The food was good, the margaritas excellent. Service was somewhat erratic, as food arrived quickly but margs slow. Lively place and fun. Great meal, loved the moles specials currently on offer and the spicy margaritas! Tamayp always is a great experience; everyone down to bus staff helpful & gracious. We had the best waitress on Sunday for brunch, that paired with the fabulous brunch special they run made for a really great day. The restaurant is clean and spacious, not too loud but looking around you could see everyone was laughing and having a great time. Would recommend to anyone. Great service! Delicious food! A little loud, but great overall. Definitely going back! Food very overpriced. $10.00 for an enchilada that was about three inches long and open faced. Won't be going back. Second time I've been there and the food is great. Got the fire roasted vegetables for dinner and the portion was huge, the vegetables were perfectly cooked and the sauce was great. Added salmon for protein and it was cooked perfectly. Would recommend it for a high-end latin/Mexican food night. The presentation is always beautiful and the food always excellent. Our server, Michelle was attentive and helpful. Perfect for a dinner before a concert! I had a gift card that was 6 months over the expiration and they didn’t honor it. They have been in business for years and hopefully will continue to be. It was poor customer service to not honor the gift card that I bought at a Children’s Hospital auction. We have been going to Tamayo for years and had been a number of times since purchasing the gift card but forgot to bring the gift card with us each time. Was shocked they wouldn’t honor it. I have never given anyone a bad review on OT but felt this was deserving. Our server was excellent. They may have lost us as a customer. What a shame. Saturday brunch - excellent! 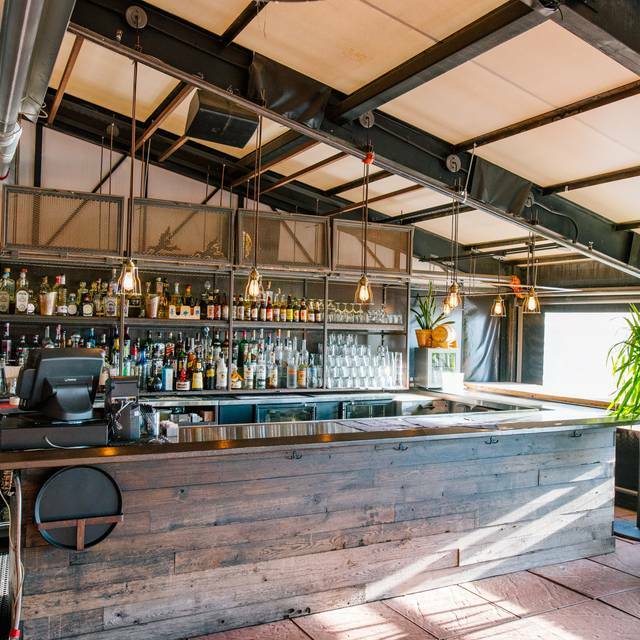 Bottomless drinks and food for $39. Can’t beat it. Drinks and food very good. Excellent atmosphere and menu, the drinks were wonderful - spicy mango margaritas! Chicken mole enchiladas, street corn on the cob all good - only reason I dropped a star was because the chicken in the enchiladas was a little tough and dry - but flavor was great. 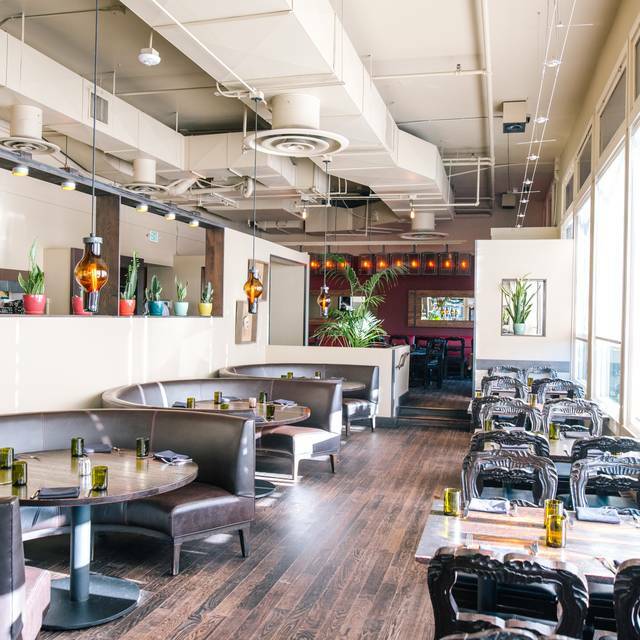 If you are looking for an upgrade from Tex-Mex, Tamayo is a great choice. Besides authenticity of dishes and preparations, the quality of ingredients and care taken with salsas makes this place special. Be sure to begin your meal with a bowl of fresh guac; it rivals the best in town. 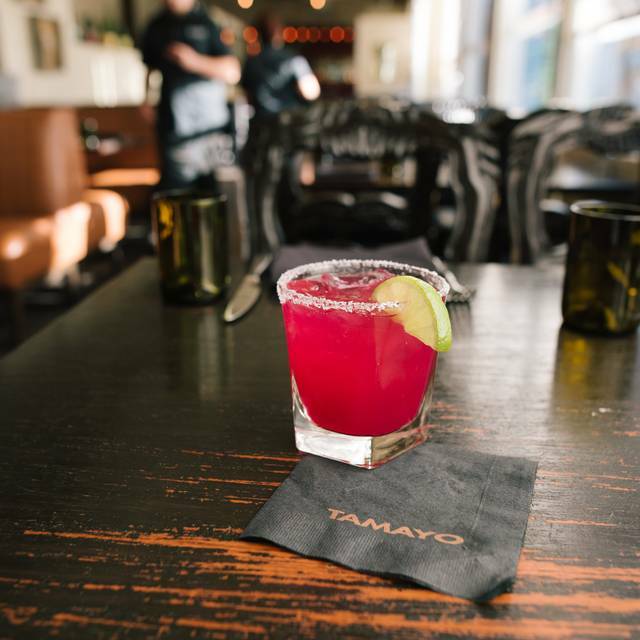 The primary draw to Tamayo has to be their margaritas and tequila-based drinks. Always fresh and an extensive selection of agave. Food and staff, absolutely amazing! I understand that there is a premium to dine along Larimer Square. A little too pricey for me, especially for three small enchiladas. And the additional charge for a side of rice and beans just struck me the wrong way. Service and ambiance was great, but maybe throw in some free chips and salsa. This brunch was amazing! We did the bottomless margarita experience. We got to kick back and let the kitchen take over. Endless dishes just kept on coming and we were beyond satisfied with the delicious food and beverages. We are from Chicago but we will definitely visit anytime we are in Denver! Our server was wonderful, so attentive. Food is always amazing here too. Good food, ambiance & service from Alex. Loved this area of the city. I was really disappointed during this last visit. 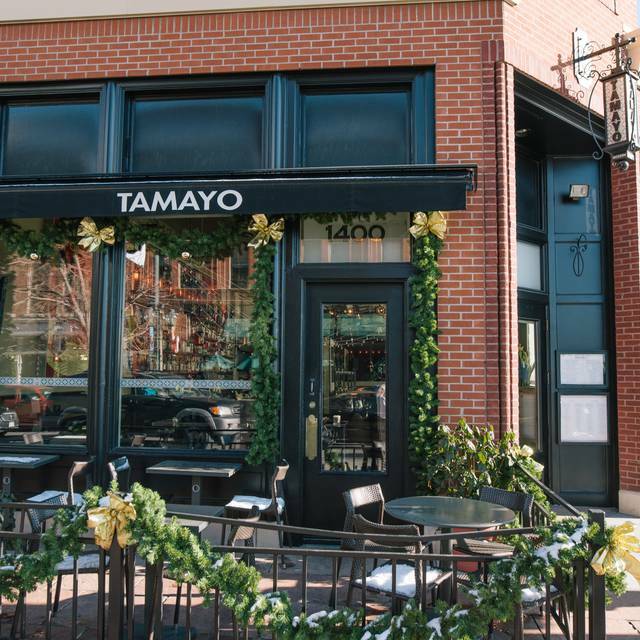 I have been to Tamayo before and it was really good! I came in this last time with a girlfriend to have my birthday dinner and it was not the best experience. The waitress took so long to come over and take our food order and they were not even that busy. It took us a total of 1.5 hours to get our meal. The queso was AMAZING - no complaints there! The food came out and it just wasn't very good and it took us forever to get our waitress to bring our ticket, then run our cards, then bring us to-go boxes. Jonathon was great! He was very attentive. The food was also very great! Great food. Actually amazing food. Service was a bit slow. But place I’ve eaten in a long time. Hadn't been to Tamayo in a while but met a friend who had come in from out of town. 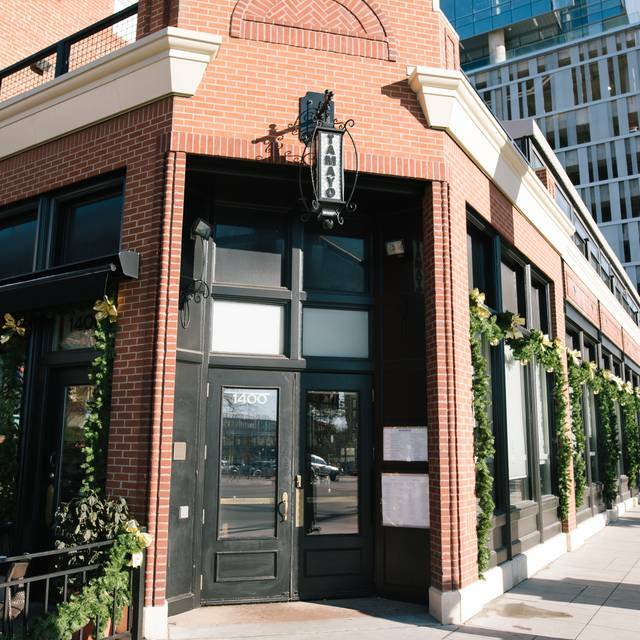 We recommended it as a Denver mainstay that we enjoy every time. This time was different though. Although our waiter was fantastic, the wine pours were miniscule (And at $10/glass, it should be a full pour), the fish tasted fishy, and the margaritas were overpriced and sugary (even the Agavero, their version of a skinny marg). Overall, we left feeling we dined in a vibrant restaurant and paid for the name/atmosphere while the food quality left us very disappointed (and feeling sick the next day for those who ate any fish). My boyfriend and I just recently went there for my birthday and had an absolutely amazing experience. They were very attentive, the food was delicious, and they even gave me a special complementary birthday dessert at the end. We will most definitely be coming back here soon!!! Very delicious. The waitress was super polite and friendly. Overall experience was great for date night and would go back. Excellent! Our service was wonderful. We were here for there weekend bottomless brunch. They have the best bottomless process I've ever seen. You get a brunch menu and order from it. Your food is brought to you as it is ready so it's always fresh. When you have received mist our all the food you ordered, you order more. Always fresh, always hot, always delicious! My husband and I had a great time and a great meal! I enjoyed their happy hour margaritas and chips and guac. However, I was a bit disappointed by my entree. I got the carne asada and it just didn't live up to the hype and didn't seem to be cooked right. I'm not one to complain though so I ate it some of it and gave the rest to my husband. My husband seemed to enjoy the chicken mole he got. The staff and ambiance were great, I just don't think the food was worth the price. We had a attentive & friendly waitress, who explained our options well. Once ordered, the food came quickly. All of our choices were delicious & the guacamole was great! Food was underwhelming. $12 margarita was gone in 3 sips -- too much ice! Was seated upstairs which is the patio covered in plastic walls. Not cold in temp but cold in feeling. Would be nice during summer time when the plastic is gone. Our bill was $150 for 4 people. So glad we had a $100 gift card. We are definitely crossing this off our foodie list.